Under the best of circumstances, a career in IT isn’t for the faint of heart. In times like these, it’s even more so. It sounds like nothing but gloom and doom out there. However there are many things we can do about it. And surprisingly, many of these options can be had at little or no cost. How do we keep up with our technical skills, when companies are slashing their internal training budgets? What are the latest “hot technologies?” Is certification valuable? What are “soft skills,” and why are they so hard (pun intended) to find? This meeting will include an overview of the challenges facing us. Then we’ll dive into some of the online training resources available (with focus on the free / low cost ones). We will conclude with a panel featuring some lively discussion of IT careers in NorthEast Ohio. Understand that this is not a fish for business. But it’s a great opportunity to network with other IT pros in the area, and get some advice and opinions from people who are deeply involved with the local IT community! Although not exclusively, we’ll be focusing on materials from Microsoft, including their Thrive site. This free site includes resources for developing / improving both your technical as well as your soft skills. The main presenter for this meeting will be Bob Coppedge, President of Simplex-IT, a provider of IT services located in Hudson. 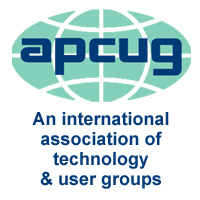 Bob holds several certifications, has published numerous articles on IT and business, and was President of GCPCUG for seven years.